3Gstore.com Blog: Cellular Amplifiers Are Effective - But Not Magical! Cellular Amplifiers Are Effective - But Not Magical! One of the most satisfying things about working at 3Gstore is hearing from customers for whom our products solved a problem. I love hearing that a router allowed an online gamer to have a better experience, or that an antenna helped a rural user draw in a better 3G or 4G signal. It’s always great to know that we were able to help! Of course, not every interaction with a customer is so positive. Every once in a while someone buys a product that isn’t compatible with their existing equipment, or doesn’t perform as well as they had hoped. The latter complaint, while rare, is typically associated with signal boosting products like antennas and amplifiers - customers sometimes misunderstand the capabilities of these products and occasionally overestimate what type of results they’re going to see. To help combat this, we encourage customers to do some testing and to talk with us before ordering anything if they’re unsure whether an antenna or amplifier will help them. With a little bit of testing, it’s actually quite easy to determine whether a signal boosting product is going to result in improved signal and performance, and as I’ve mentioned before, here at 3Gstore we would much prefer that our customers purchase the right product (or nothing at all!) instead of just blindly purchasing something and winding up disappointed. 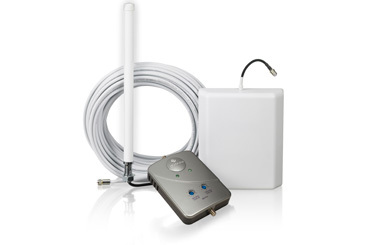 Yesterday I spoke with a customer who had purchased the Wilson SignalBoost DB Pro, a powerful wireless repeater that can provide boosted voice and 3G signal throughout several rooms in a home or office. The customer reported that the repeater was working wonderfully for his Verizon phones - he saw his signal improve dramatically and he was no longer dropping calls. However, he also reported that he wasn’t seeing ANY improvement for the 3G data signal, and he was very upset about it. He wasn’t getting any 3G signal at all without the repeater, and he still wasn’t getting any signal WITH it installed, despite seeing such a boost for his cell phones. After a few minutes of discussion, the issue became clear: the closest Verizon cell tower that offered 3G data was 30 miles away! There was a closer tower which only provided 2G/voice signal, which is why the amplifier was able to help the customer with his cell phone signal. The customer was very upset that the amplifier wasn’t able to “make” the 3G signal appear. I explained to him that cellular signal can only travel so far (and factors like interference, elevation, and obstructions between his house and the tower can all impact just how far it can travel), and that even the most powerful amplifier in the world can’t “create” signal where there is none. Antennas definitely help draw in distant signal and amplifiers help boost weak signal, but if the signal is simply too far away, then there’s nothing for the amplifier to boost. I certainly understood the customer’s disappointment, and I was very sorry to have to be the bearer of bad news when I told him that getting that 3G signal to his rural location wasn’t going to be possible (unless Verizon upgraded the closer tower to also support 3G, of course), no matter WHAT amplifier he bought. This customer could have easily avoided this disappointment by contacting us first to discuss his situation. Our expert staff would have asked him his goals (improving voice signal AND 3G signal), and then we would have asked him a few basic questions (how weak is the signal inside your house? How far away do you have to go before it starts getting better?) and we would have been able to quickly determine that a signal booster was not going to help him with 3G. He then would have been able to decide if improving the voice signal alone was worth it to him, and gone into the purchase fully aware of what he could expect. In the end, the customer learned two valuable lessons: signal boosters are effective but not magic, and 3Gstore is here to help and give honest answers - call us and put us to use! Cradlepoint announces ARC MBR1400LP and more! Micro Cell/Pico Station Vs. Amplifiers? Google +- Flash Gordon or Flash in the Pan? 3Gstore: Your Sleek Accessories Headquarters! Cradlepoint Modem Cap or Security Enclosure? New iPad in the Works? Cellular acronyms, what do they mean?